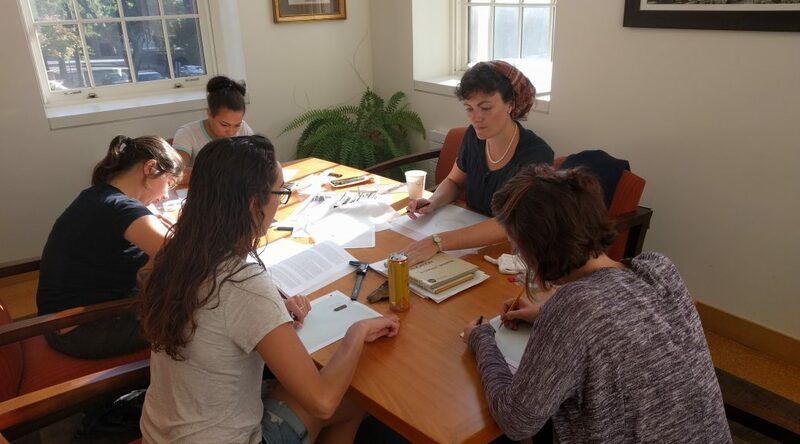 We’re half way into the first term of the archaeological illustration club at the Joukowsky Institute for Archaeology and the Ancient world at Brown University, and we’re off to a flying start. 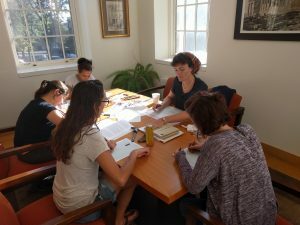 Club members began by illustrating objects they had on them the first week. 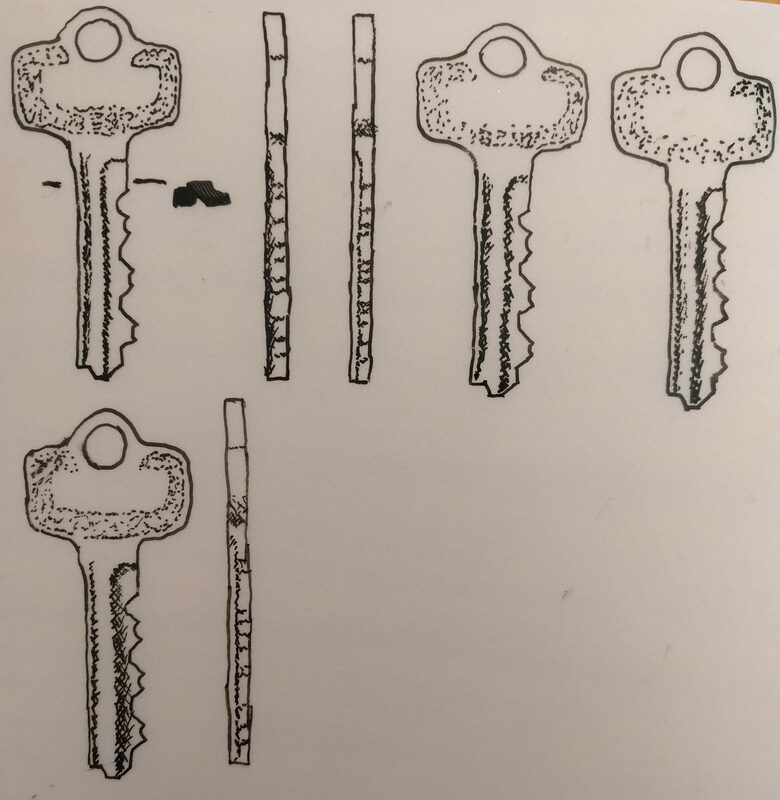 People chose their keys, or rings, or cameras to spend time with and create accurate technical drawings of. 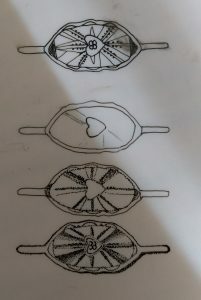 A ring showing progression from block shading to stipple. So much of archaeology is the accurate recording of features of interest, at any scale. In the field this means surveying landscapes, drawing scale plans of excavations or otherwise recording the physical environment. 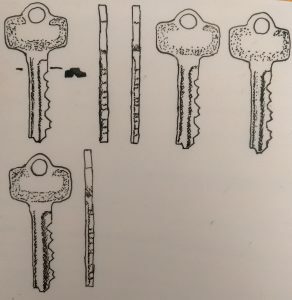 Archaeological illustration is an extension of that practice, creating accurate scale images of objects. 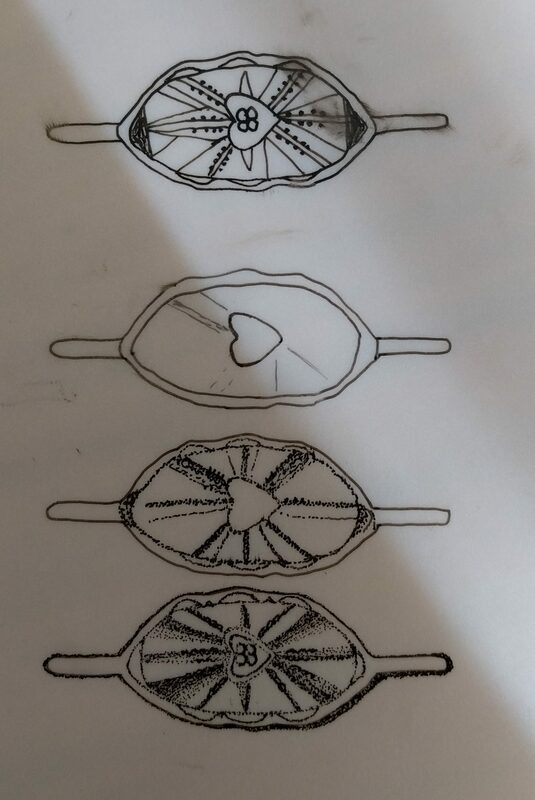 We’ve been learning the disciplinary conventions of how different materials are illustrated, largely relying on Griffiths, Jenner and Wilson 2002 Drawing Archaeological Finds: A Handbook. Leicester: Flexipress. Our members range from keen freshmen to RISD students looking to expand their skill set, so come and join us if you’d like to have a go!